The GENLAB range of Heavy Duty Ovens (HDO) suit most industrial applications for the controlled warming and drying of products. 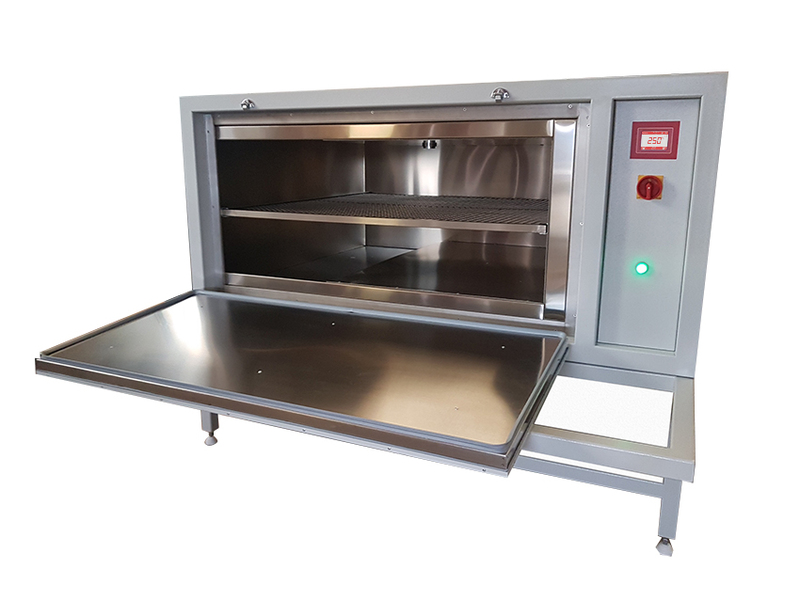 Eight standard size ovens are available, or bespoke units can be manufactured for a variety os applications that take into consideration all factors such as load, temperature and location. Built around a heavy duty panelled framework, we can offer increased load capability in this range. Units are heated by Incoloy sheathed elements positioned in the roof of the oven, and have high speed fans for high velocity air circulation. Heated air is forced down internal side walls of the oven for optimum uniformity conditions. An external control panel is mounted on the right hand side of the oven (left upon request). They are populated with market leading controllers from Eurotherm and have premium switchgear for longevity and reliable operation. Each oven has an independent overheat protection and fan motor protection, both requiring manual reset to ensure safe operation. All units have CLAD interior with an external control panel mounted on the right hand side. Units rated above 150ºC will come with an insulated raised floor and additional cooling around the framework. E.g. HDO/10/250 with insulated track floor and recorder becomes HDO/10/250/TR/NCR. 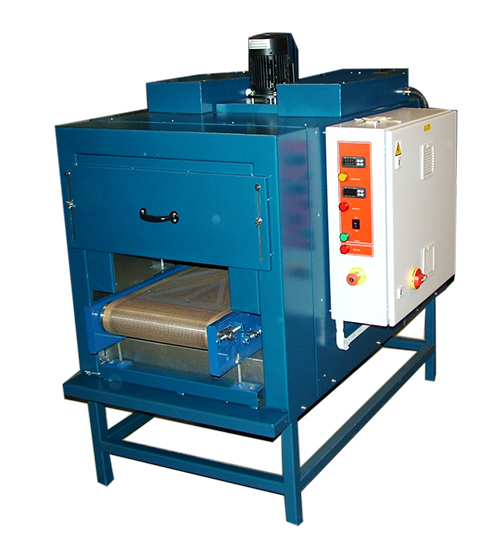 The Curing Ovens are constructed from a powder coated heavy duty tubular frame fitted with painted panels. The interior chamber is made from mild steel coated with aluminium, with stainless steel chambers available as an option. 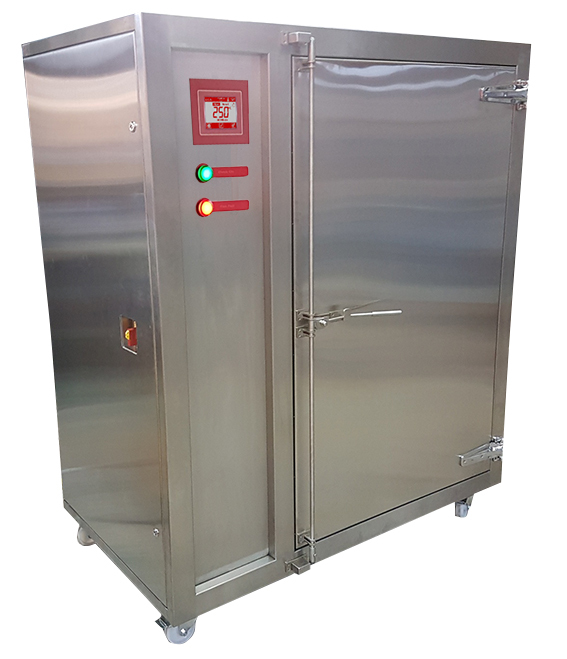 Each Curing Oven is fitted with a microprocessor digital controller with dual display of set point and actual temperature as standard. Alternative controllers are available on request. 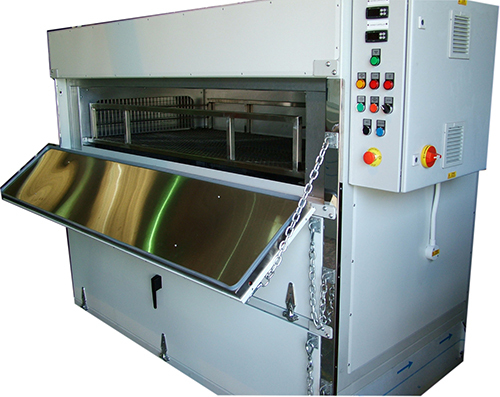 All Curing Ovens have fan circulation and are heated by sheathed incoloy elements around the fan. 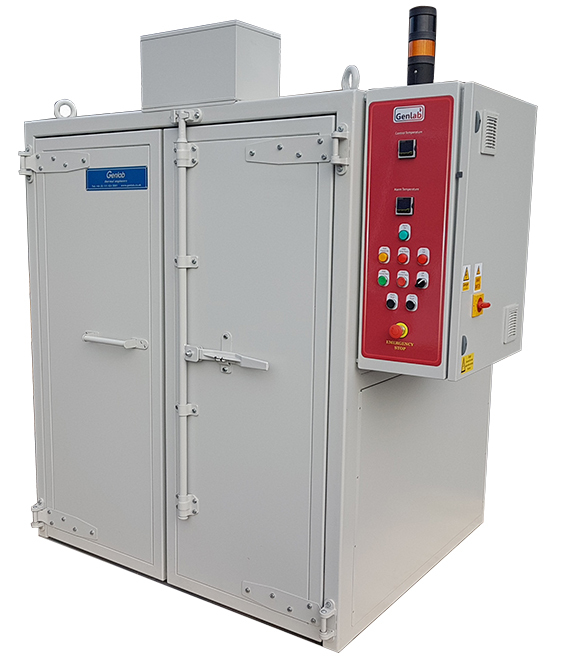 A range of safety features including spark proofing, fume extraction and explosion relief panels are available on request. Genlab offer a range of High Temperature Electric Ovens for a variety of applications, with temperatures up to 500°C. This range of High Temperature unit slots inbetween the requirments of a furnace and an oven and are extensively used in the Aerospace Industry. The unit capacity and temperature range is manufactured to each customer’s individual requirement. 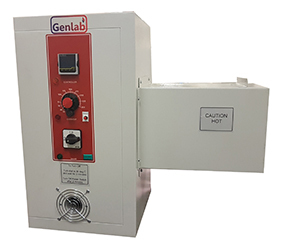 Genlab have sold units used in the manufacture of engine components for Vertical Take-Off & Landing (VTOL) Fighter Planes and also for the restoration of vintage Supermarine Spitfires. Smaller units are constructed from a fully welded Zintec steel outer cabinet with an easy clean powder coated finish. Larger units are constructed from powder coated heavy duty tubular frame fitted with painted panels. 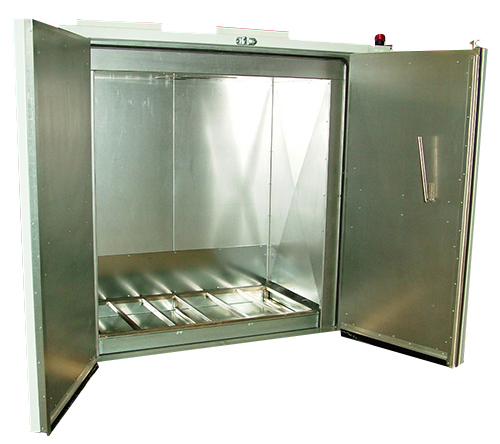 The interior chambers on all sizes are made from high grade, rust proof stainless steel. All High Temperature units are fitted with high density thermal insulation to minimise heat loss throughout. All standard 500°C units are fitted with a single front opening, side hinged door and feature an air cooled front fascia. Each unit is fitted with a microprocessor digital controller with a dual display of set point and actual temperature as standard, with a digital overtemperature policeman to DIN 12-880 class 3.1 fitted as standard. Alternative controllers and temperature recorders are available on request and all units have fan circulation and are heated by sheathed Incoloy elements around the fan. Genlab also manufacture bespoke size High Temperature Ovens & Heat treatment Ovens to meet individual customer requirements. Genlab manufacture Tunnel and Conveyor Ovens that are purpose built to meet high manufacturing and production demands where time and process control is required. A full design and build facility is available to provide cost effective solutions for customers who need rapid throughput and an automated handling system. 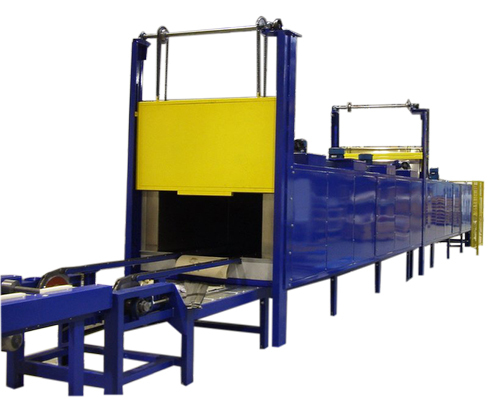 The Conveyor and Tunnel Ovens are constructed from a powder coated heavy duty tubular frame fitted with painted panels.The interior chamber is made from mild steel coated with aluminium, with stainless steel chambers available as an option. Throughput systems are designed and built in accordance with each customer’s requirement. Each oven is fitted with a microprocessor digital controller with dual display of set point and actual temperature as standard. All Conveyor Ovens and Tunnel Ovens have fan circulation and are heated by sheathed incoloy elements around the fan. Alternative heating systems are available on request. Full commissioning and installation services are available. 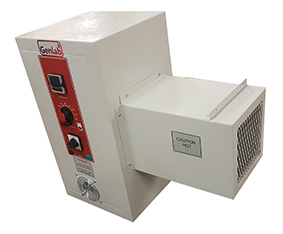 Genlab offer a range of unique Industrial Air Heaters that can be designed to suit your exact requirements. 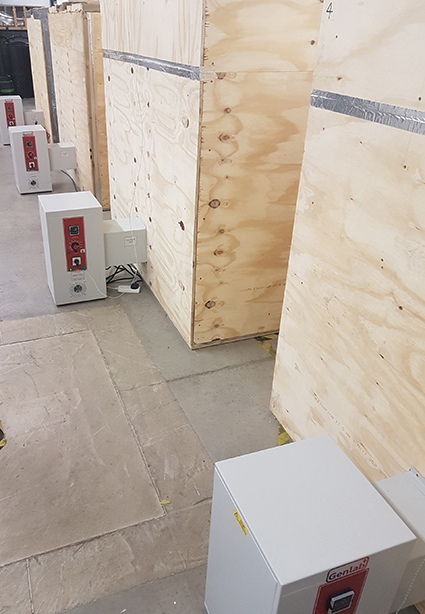 The units come with a digital temperature controller showing both air temperature and desired set point and each unit has an indpendant temperature overheat alarm system which will safely turn the elements off and keep the fans running until the reset button is pressed. Each unit is supplied with an exposed tip sensor on a 3 m lead and remoevable plug. The sensor can be placed into the area of where the temp rise is required and the air heaters will control the air temperature to this location. Genlab offer a range of Plastic Sheet Warming Ovens for use in the plastics and rubber industry for the controller warming and drying of thermo plastic sheets. We offer 2 standard sizes which are suitable for most standard sheets. However, custom made units can be designed to meet most other sheet dimensions. They feature our latest touch screen control system whihc offers intuitive control and excellent accuracies designed for plastic warming applications. The exterior is constructed from a powder coated heavy duty frame fitted with pained panels. 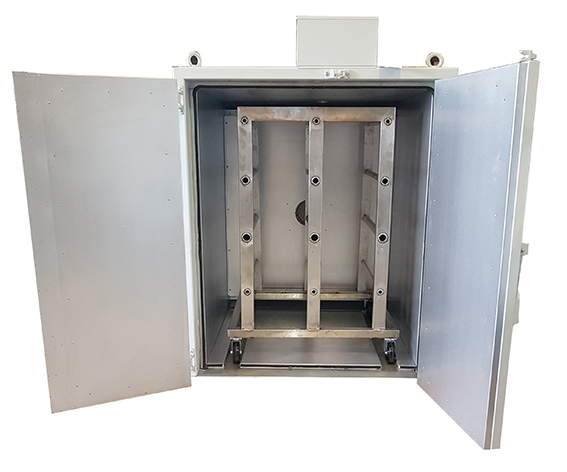 The interior chamber is made from mild steel coated with aluminium (CLAD) with a stainless steel chamber available as an option. A reinforced sliding shelf is fitted to aid the loading of the plastic sheets. All units have cross flow forced air circulation and are heated by sheathed Incoloy elements around the fan. All units have CLAD interior with touch screen interface as standard. 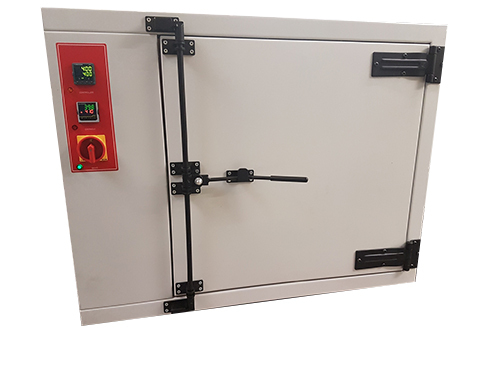 Genlab offer a range of Drum Warming Ovens that are specifically designed for any type of drum warming requirement and are available in a range of sizes from one to eight drum capacity. Larger capacity units are available on request. 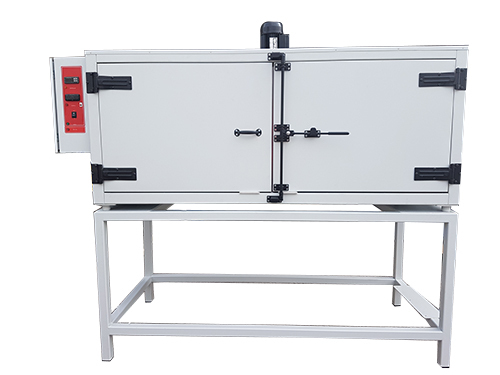 The Drum Warming Ovens are constructed from a powder coated heavy duty tubular frame fitted with painted panels. The interior chamber is made from mild steel coated with aluminium, with stainless steel chambers available as an option. Each unit is fitted with a microprocessor digital controller with dual display of set point and actual temperature as standard. All Drum Warming Ovens have fan circulation and are heated by sheathed incoloy elements around the fan. Internal racking and cages are available to suit most drum sizes or specific systems can be manufactured to meet individual customer requirements. If you would like to order a Genlab Drum Warming Oven, dont hesitate to call us on +44 (0) 151 424 5001 to discuss your requirements. Alternatively send us an email to enquiries@genlab.co.uk and put "Drum Warming Ovens" in the subject field and one of our representatives will duly reply. 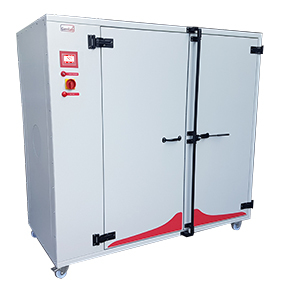 Genlab offer a range of Heavy Duty Drying Ovens and Warming Ovens for use in many industrial applications for the controlled warming and drying of most products. The Genlab range of Large Capacity Incubators offers a selection of highly efficient, reliable and cost effective units. They are suitable for larger applications of incubation, research and general industrial applications. The Genlab range of Large Capacity Ovens offers a selection of highly efficient, reliable and cost effective ovens to suit most warming, drying and heat treatment processes. 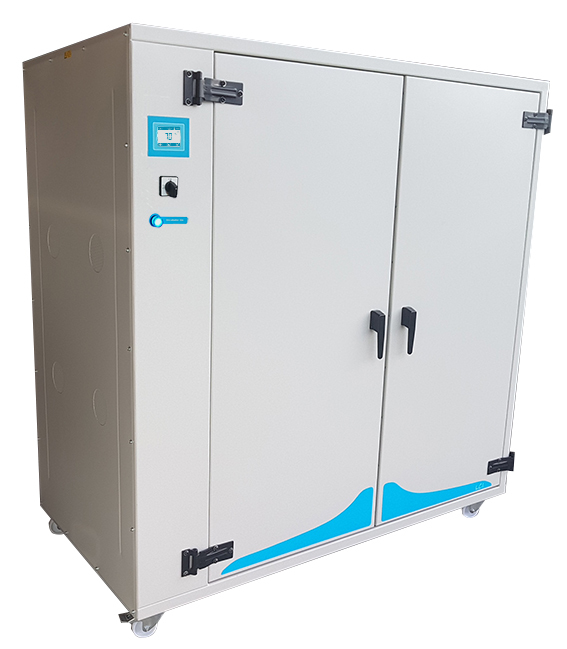 The GENLAB Range of Prime Series XL Incubators are the flagship brand of Genlab Large Capacity Incubators with 17 available sizes between 250 and 1250 litres. The GENLAB Range of Prime Series XL Ovens are the flagship brand of Genlab Large Capacity Ovens with 17 available sizes between 250 and 1250 litres. Genlab offer a range of High Temperature Electric Ovens for a variety of applications, with temperatures up to 500°C. Genlab offer a range of Plastic Sheet Warming Ovens for use in the Plastics and Rubber industry for the controlled warming and drying of thermo plastic sheets. 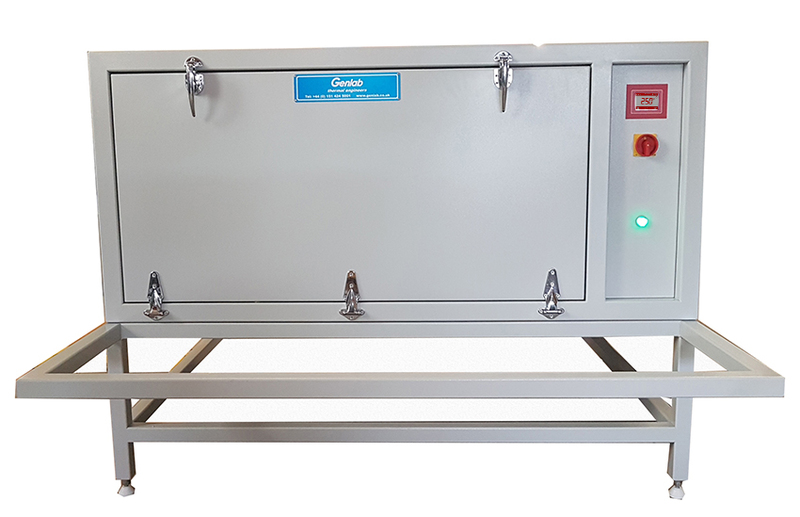 Genlab offer a range of Drum Warming Ovens that are specifically designed for any type of drum warming requirement and are available in a range of sizes from one to eight drum capacity. Genlab offer a range of Industrial Air Heaters designed to elevate ambient temperatures upto 150deg C.
This division offers a range of industrial ovens to suit almost every application. Industrial Ovens can be supplied from a range of standard sizes or specially designed and built to meet specific customer requirements. Our highly qualified technical services team can assist with the design, production and installation of a variety of ovens to meet most large heating requirements. Following initial discussion to define precise requirements our technical team can provide advice, full specifications, general arrangement drawings and a comprehensive quotation.